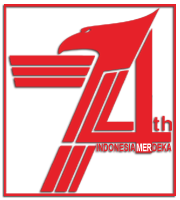 The existence of one of the Italian sport car manufacturer, Ferrari in North America has reached the age of 60 years. As a form of respect for their work, the Italian sport car manufacturer will present a special edition model for North Americans. 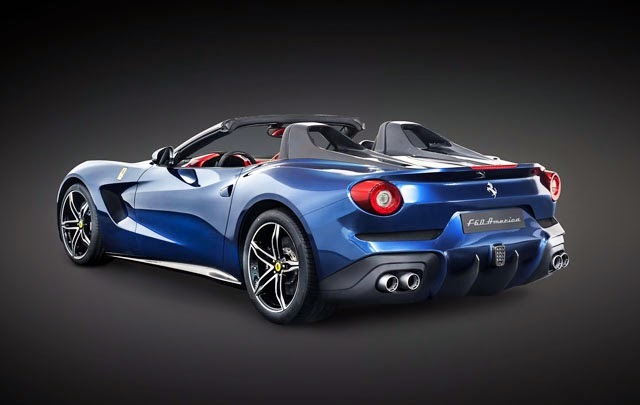 In their official statement on Saturday, October 11, 2014, Ferrari says that F60 America is their special supercar to celebrate their success over 60 years in North America. Because this is a special edition, then Ferrari will only produce 10 units. So what makes this sport car so special? 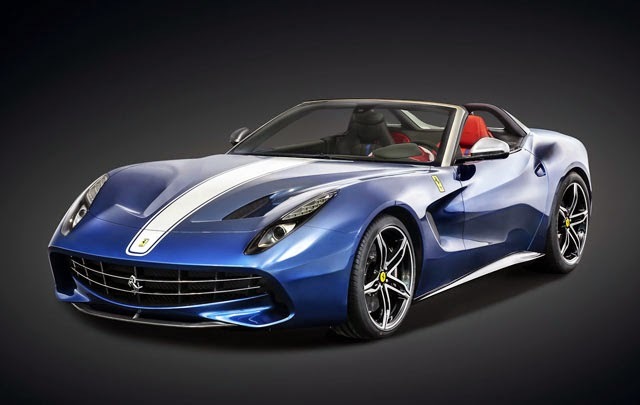 As reported from MotorAuthority that Ferrari design the F60 America based on the F12 Berlinetta which launched at the Geneva Motor Show 2012. Then its exterior appearance is also made ​​specifically where on the front side which is dominated by typical Ferrari's classic grille with a touch of chrome and is supported by a carbon fiber body of the rear cockpit to the stern. Then a matching white line decorate the center of blue colored sport car from front to aft, which describes the fusion of two passionate of American Ferrari lovers who crave V12 engine with a model without a roof. Yes, this sport car has no convertible roof mechanism; but uses a thin fabric that is safe to be used at speeds up to 120 kph only. 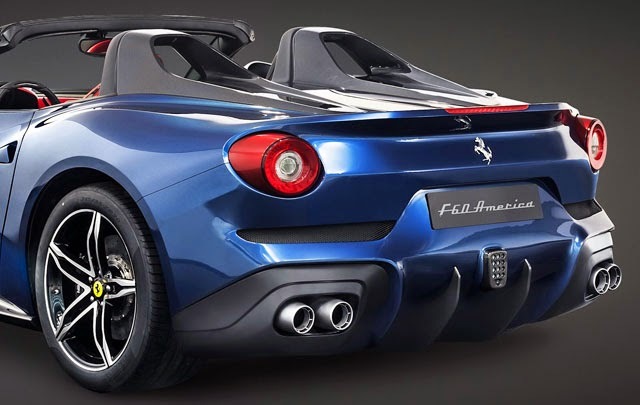 Meanwhile, the F60 America is still using a V12 engine which has a capacity of 6.3-liters (same engine belongs F12 Berlinetta), which combined with the 7-speed dual-clutch transmission system, which sends the power to the rear wheels. This configuration will produce a power output of up to 729 hp at 8,500 rpm, with peak torque of 688 Nm (508-ft.lbs) at 6,000 rpm. Ferrari also claimed that this special F60 America can also accelerate from 0-100 kph in just 3.1 seconds! 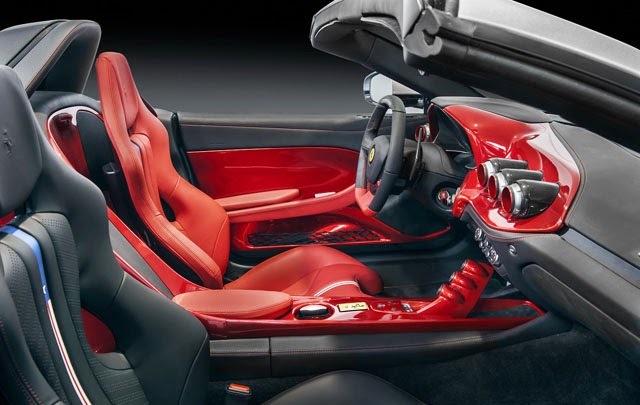 For the interior, Ferrari presents this two-seat sport car with asymmetrical design in the cabin. 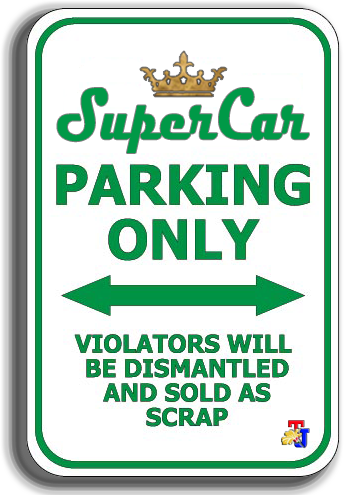 This can be seen on the seats and dashboard are given a sporty red color on the drivers side while to passenger side is given a touch of a different color i.e black. Thus we can see how Ferrari wants to make it appear so exclusive.